Expansive walls of windows, clean lines, & sleek spaces are married together inside and out in this hallmark mid-century modern home. 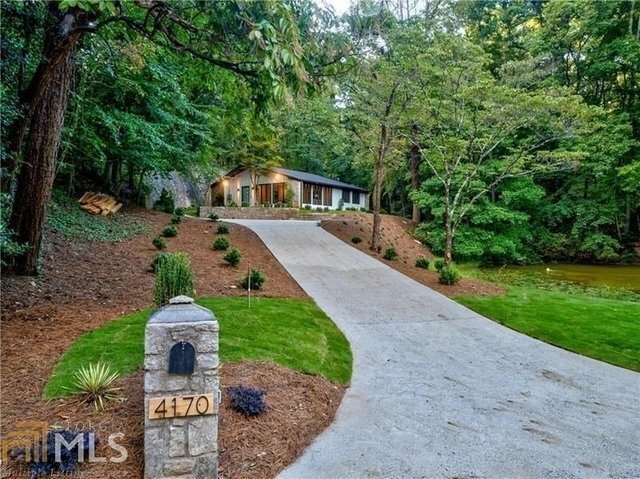 This one level home sits on just under 2 secluded acres. The home was taken down to the framing during rebuild & now has Thermador appliances, acacia hardwood floors, custom walnut cabinetry, 3 living rooms, marble shower in the master, huge walk-in pantry. All new systems feat: roof, spray foam insulation, smart home wiring (CAT5/RG6), built-in sound, new gas lines, new plumbing, HVAC, water heater, total septic replacement & landscape.